Promotion is a marketing technique that is designed to entice a customer to take a specific action such as make a purchase or request more information. Promotions, when done well, are an effective way for you to market your business or products and services. Video marketing is increasingly being used by businesses to market their product and reach new clientele. Website promotional is an accumulation of strategies and activities that serve to promote a company’s website and drive traffic to the site. Website promotional is carried out with the help of videos and techniques like SEO to increase exposure of a website and reach new clientele. myQaa’s mobile event app is available on all platforms, has customization options for your event app to reflect your event’s brand. myQaa can be used by both onsite and online participants. They have experience providing event apps for a wide array of clients and pride ourselves on delivering outstanding customer service. The animated website promo video shows the unique features offered by the myQaa for better event planning. Microsoft Intune provides mobile device management, mobile application management and PC management capabilities from the cloud. With support for iOS, Android, Windows, Windows Mobile and Mac OS X devices, Intune allows you to manage your diverse mobile environment in a secure and unified way. It allows you to maximise mobile productivity for your employees with access to corporate resources on Office mobile apps they know and love. The website promo video shows how Microsoft Intune is a reliable mobile device management platform. Klear is a media analytics and intelligence platform that provides social data services for brands, agencies and enterprises. Klear offers media profiles analytics, which includes analysis of social mentions, engagement, growth and network analysis. The website promo video provides an insight into Klear’s media monitoring and analysis service. iVendi offers a car finance checker platform that helps customers search for auto financing create a suitable portfolio and get the loan approved. For dealers it helps convert website traffic to red hot leads by helping customers understand and figure out how they can make a purchase with financing options. The website promotional video shows the simplicity of the idea yet driving great results for car dealerships. Fishbowl Prizes offers a new marketing/promotion platform. This site embedded platform is designed to gather qualified consumer email addresses, as well as create a worldwide online community. Retailers can now gather opt-in email addresses from users across shopping demographics, expanding their reach and capturing potential customers. The website promo video demonstrates an easy way to reach out to a big group of audience. Axonix is a fully transparent, Real Time Bidding enabled mobile advertising exchange. They help app developers and web publishers to maximise the value of their mobile ad inventory through programmatic and real-time trading with brands, agencies and ad networks globally. The website promotional video helps to gain insights of how Axonix ad platform works. Jama is a product development platform that makes data actionable and traceable, while stored in a searchable and secure location. It organises and contextualizes discussions and decisions, pinpointing where action is needed. The website promotional video demonstrates the live traceability of the project, simplifying the product life cycle. Zenoss is a cloud monitoring platform that allows you to quickly and effectively monitor your cloud resources in tandem with your on-premises systems. The website promotional video shows how Zenoss eliminates the need to parse through fragmented data allowing cloud management & monitoring by IT. GetResponse provides all-in-one Online Marketing Platform that delivers intuitive solutions to enhance business performance. They help a business grow their email lists and optimise audience engagement with beautiful emails and autoresponders. It offers a suite of email marketing tools designed to deliver tailor-made offers to subscribers when they’re most active and build an effective email marketing strategy. The website promotional video highlights how GetResponse can help you grow your business and maximize ROI. Simplycast a 360 Marketing Automation platform helps automate marketing campaigns across all channels. Understanding, organizing and communicating all the user generated data to deliver custom content at the right time. The website promotional video captures how an online retailer maximizes conversions through Simplycast. HQVM provides Vendor Management with compliance, due diligence, risk analysis and document tracking platform. It allows you to utilize their reports to distribute to your clientele as a way to separate yourself from the competition and streamline your clients’ vendor management oversight of you. HQVM’s experienced team includes credit analysts, financial analysts, attorneys and auditors whose collective skills and expertise establish a unique platform to audit vendors and assess risk. The website promotional video demonstrates how HQVM can be a resource for your organization. Sears is a department store company based in Chicago. It designed fully air-conditioned, windowless stores whose layout was driven wholly by merchandising concerns. Sears built many urban department stores in Canada and Mexico. The website promo video shows how Sears’s app, that is shop your way is facilitated for online shopping. The Chrome device management makes it easy to deploy apps to kiosks, monitor status at a glance, and troubleshoot chrome devices/kiosks deployed globally. The Admin gets an alert on mobile that a kiosk is down, checks the management console, review logs, screenshot, and reboots the device to bring the device online. You can configure Wi-Fi settings for all of the Chrome devices enrolled in your domain, or for logged-in users from specific sub-organizations within your domain. 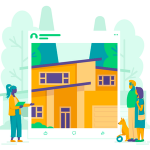 The animated website promotional video by Chrome is a fresh look at the policies offered by device management platform. 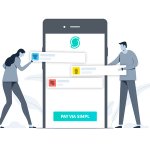 SITO is a location based mobile advertising platform that provides a mobile engagement platform which enables brands to increase brand loyalty and sales. SITO’s mobile targeting and measurement tools are a bonus for mobile video campaigns as they allow for more detailed video metrics. The website promo video highlights how mobile advertising helps run customer based mobile àd campaign strategies. 20:20 provide a high-level retail data analysis service, with their Sales View Director’s Dashboard product to prospective customers in just a couple of minutes. Their Sales View platform provides a fast track to actionable insights, with a series of automated alerts sent to the inbox of the right stakeholder, standardised graphs and charts and compliance tracking reports which transform the performance of the Customer Management teams. The animated website promo video portrays 20:20’s Sales View as a perfect response to an increasingly complex world of retail data analytics. 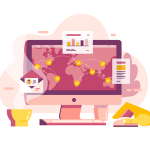 Chinsay is an independently-owned leading online platform for the end-to-end administration of contracts in the multi-trillion dollar global commodities and freight markets. Access your charter parties and next steps in real-time and with painless compliance, you’ll never wonder if you’re potentially at risk. The website promo video shows how with Chinsay offers a comprehensive platform for effortless contract management for freight. BrightScope data management sales reporting platform that brings together key files such as recordkeeping sales reporting, sub-accounting, internal, transfer agent. Their third-party data sets to deliver a cloud-based, mobile-friendly dashboard accessible when and where needed. It brings together key intelligence from all of your partners to deliver a mobile-friendly dashboard to guide your sales efforts. The website promotional video shows how BrightScope can help you get more out of your existing data across platforms. ClearSkies Security-as-a-Service (SecaaS) SIEM platform that helps businesses manage the wealth of information generated by their networks, systems and applications. It enables enterprises to effectively and cost efficiently enhance their information security and regulatory compliance operations. The SIEM website promo video shows how ClearSkies can help you identify and manage potential cyber threats. Trace One Product Lifecycle Management is a collaborative solution allowing information exchange through the entire product lifecycle between private brand retailers and manufacturers. Their solutions enable retailers and manufacturers to support their development processes, enhance consumer trust and comply with regulations. The website promotional video shows how Trace One can help you manage complex suppliers network, increased consumer expectations and rapidly changing category specific and legislation. AEOS is a software-based security management platform. AEOS developed in-house generic controllers via software. AEOS controllers can accommodate functionality for access control, intrusion detection, video management and locker management. This website promo video highlights how AEOS platform can reduce the hassles of IT security management. With the above animated website promo video examples it’s evident that companies are fast integrating videos in their marketing campaigns and various other touchpoints. If you are in the similar domain these videos are good start to build a brief of what can be the tone and style for your videos. We advise you to be different and unique while you create your messaging through the videos. We at Advids, understand brands are continuously evolving, with a lot of transformations happening now and many more to follow in future. Lets use the power of videos to get your word out. We will be scanning the web to find more new and interesting animated website promo video examples, if you have something to share do reach out to us.